2012 was proof-positive that this is indeed the greatest time to be a writer. The fastest selling book in history is now a self-published book. There are so many more ways to get successfully published than there were five years ago—heck, more ways than there were when we started writing this sentence! That’s the good news. The bad news is that the corporatization of publishing has caused enormous changes in the book business. As publishing houses merge (Penguin House/Random Penguin) and corporations envelop them in their bureaucratic arms, there will be fewer publishing opportunities at the Big New York Publishing houses. That is why we are urging writers to investigate the wonderful world of independents–both publishers and bookstores. We’ve been published by Simon & Schuster, Random House, Penguin, and HarperCollins, and we love working with them, but we turned down a much bigger offer from a large corporate publisher to have the honor and privilege to work with our independent publisher, Workman Publishing, on The Essential Guide to Getting Your Book Published. They are like a writer’s fairy godmother, granting wishes left and right. In fact, the newest version of our book (the first version was called Putting Your Passion Into Print) came about because of the suggestion of Peter Workman in light of the seismic, revolutionary changes in the publishing business. The even better news is, with the majority of independent publishers, you don’t need an agent. And as any of you who have pursued agents know, it is very, very, very difficult at this point in history to get a good agent. Indeed, you may spend years of your life getting rejected over and over again by agent after agent. Between us we have six books coming out in 2013, and they are all with independents. In fact our experiences with independent publishers like Canongate, Black Dog and Leventhal, and Soft Skull, have resulted in our books being translated into multiple languages, being optioned by Hollywood, and winding up on the front cover of the Sunday New York Times Book Review. 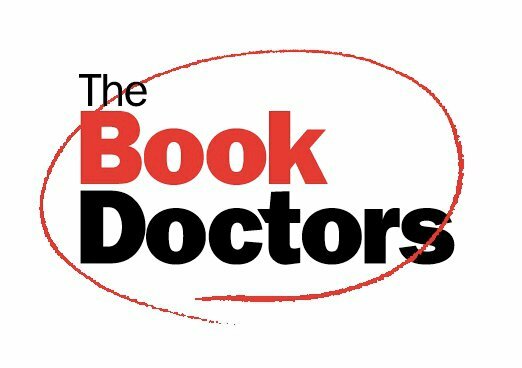 We believe very strongly in an all-inclusive approach to the book business. Some books cry out to be published by the likes of HarperCollins and Random Penguin. Others would love to be handled by independent publishers who aren’t beholden to a giant corporation. Still others will be best served by self-publishing. In 2012 we had our first experience of self-publishing: it was fantastically liberating. And we are already making money off that book. We hope you have a great 2013, and may all your publishing dreams come true. See you at the bookstore! 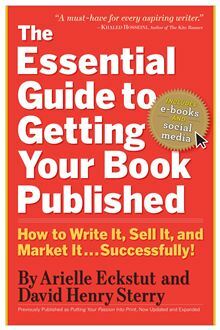 And as a sign of goodwill, we’re offering the chance to buy our book The Essential Guide to Getting Your Book Published, AND win a 1 hour consultation with us (worth $250) for $2.99!